"Ganesh — On the Road" is one of the four works of the "Indian Cycle" of Oliver Kälberer: "The compositions have no resemblance to Indian music, but they are influenced and inspired by the Indian way of living and thinking. 'Ganesh --- On the Road' can be recognised as the narration of a journey. It starts with a clash of two worlds in the psyche of the visitor (Lost Balance). Through the struggle with the unknown (Fighting for Insight) and through the increasing chance to open towards the incomprehensible (Rats' Waltz, Chasing Thoughts) the two voices that weren't able to communicate start to find each other (Chanting the Mantra). This progression 'culminates' in a moment of complete silence (Being as One), before the journey continues with more insight (Back on Track) - nothing is impossible (Enlightened Elephants Fly)." The Impromptu from the year 1982 is introduced as one of the first compositions of Kälberer. 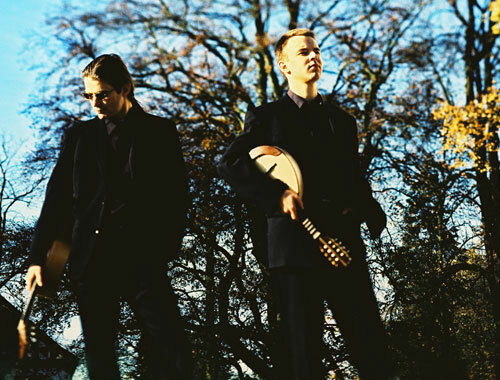 As well as his activities as a composer, Oliver Kälberer is also a teacher of guitar and mandolin. Several visits to Asia, particularly to India, and meetings with personalities like György Kurtág, Ustad Ali Akbar Khan and Sergiu Celibidache influenced his musical ideas.